One early morning in 1754 an Indian raid on a small New Hampshire settlement shatters all young Miriam Willard's hopes and dreams. Suddenly she and her family are victims of the French and Indian War. Forced to march north to Canada, they will either be held captive by the Indians or sold to the French as slaves. After the nerve-wracking experience of running an Indian gauntlet, Miriam is sold to a wealthy French family in Montreal. Held captive for a ransom that may never arrive, she longs for the handsome young soldier she left behind. When her boldness and independence get her thrown out on to the hostile streets, she must use her wits to survive until she can find a way home. This Newbery Award-winning author of The Bronze Bow used the lives of real people to inspire her vibrant re-creations of history. 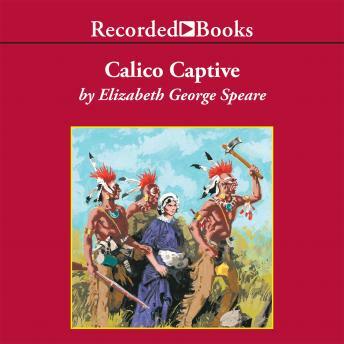 Narrator Barbara Caruso captures the novel's compelling characters and strong sense of place to present an informative and insightful history lesson.